At Down to Earth, you’ll find pretty much everything you see in a regular grocery store, plus many items you don’t. The difference is that our foods are all-vegetarian, organic and natural. We emphasize foods that are free of artificial flavors, colors and preservatives, and are minimally processed. What makes our product selection even more special is that we understand the local market. So we carry products that fit well with the diverse tastes of our customers. In addition to everything you need for breakfast, lunch, and dinner, you will find specialty items such as food imports, raw food, and hard-to-find gluten-free products as well as vegan, low-sodium and low-fat items. We also have a special section for baby care including foods and related products. And, our eco-friendly household products are safe, non-toxic and effective. These “green” products are healthier for you and safer for the environment. 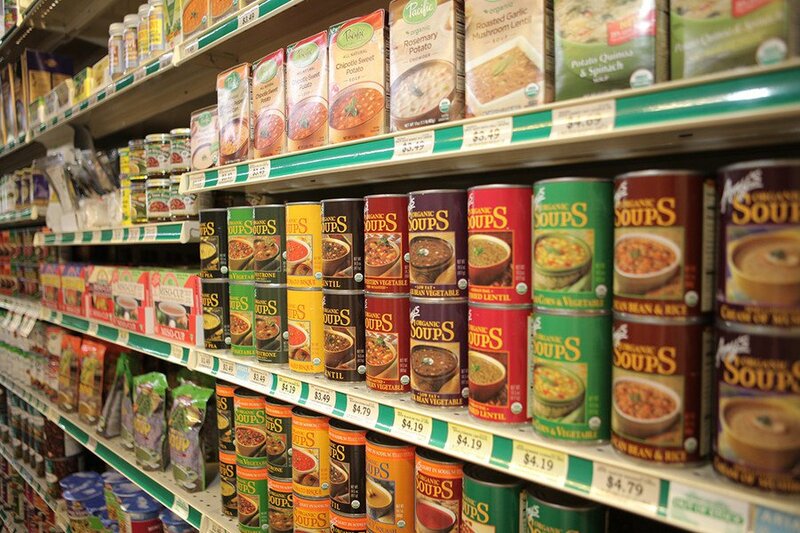 Shop for the basics or pick up healthy convenience foods to create a quick meal. Feel welcome to make a special request. Simply ask any of our team members about it. They are knowledgeable and friendly, and will gladly help with your questions.